Superwater.com offers 100% Free FedEx & UPS Ground Shipping On every Pentair Everpure Hoshizaki # EV9655-06 / EV9655-07 / EV9655-11 / H965511 Hoshizaki HC-H cartridge order. ***WE ARE AN AUTHORIZED PENTAIR EVERPURE HOSHIZAKI FILTER FOODSERVICE AND COMMERCIAL DEALER w/ OVER 20+ YEARS EXPERIENCE. Please call us with any questions you may have. NOTE: AS OF 11-2011 / the HC-H and HF-H are no longer made and the 4HC-H (EV965511 / H965511 ) has replaced it. Here are the specs for this new cartridge. The # EV965507 / H965511 and even older number EV965506 HC Cartridge, has been replaced with the New & Improved Hoshizaki HCH CTO/Bacteriostatic/Scale HC / HC-H or HCH CTO Cartridge Model # EV-965507 and has much greater bacterial protection and is 4" inches longer than the older HC Models numbered EV-965506. 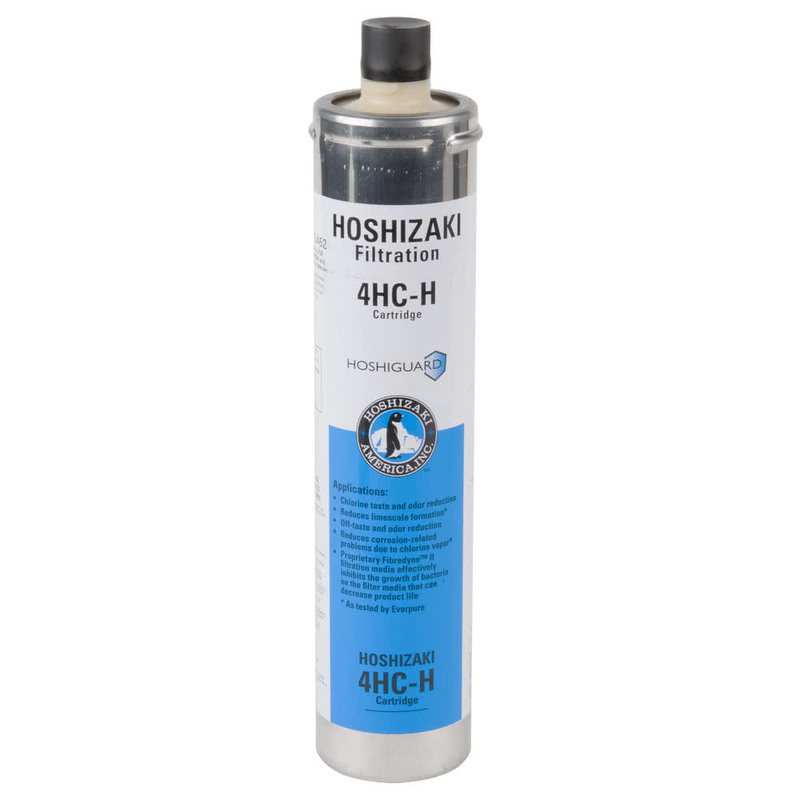 Multiple Cartridge Orders and Price Discounts for all Hoshizaki HC Cartridges are Given and Shown as Applicable in the Section Above. The 4HC-H # EV9655011 Replacement Filter Cartridge for Hoshizaki Ice Maker Systems are made Exclusively by Everpure. Features exclusive Precoat design which removes particles 1.0 micron and larger in size. Designed For Odor and Chlorine Reduction. HC-H Cartridge is Available for Single, Twin, and Triple Configurations. Keeps ice makers functioning at full capacity. Reduces scale that can clog appliances. Sanitary quick change cartridge is easy to install and replace. No tools required. NOTE: The HC-H Cartridge is NOT Recommended for use with Flakers.